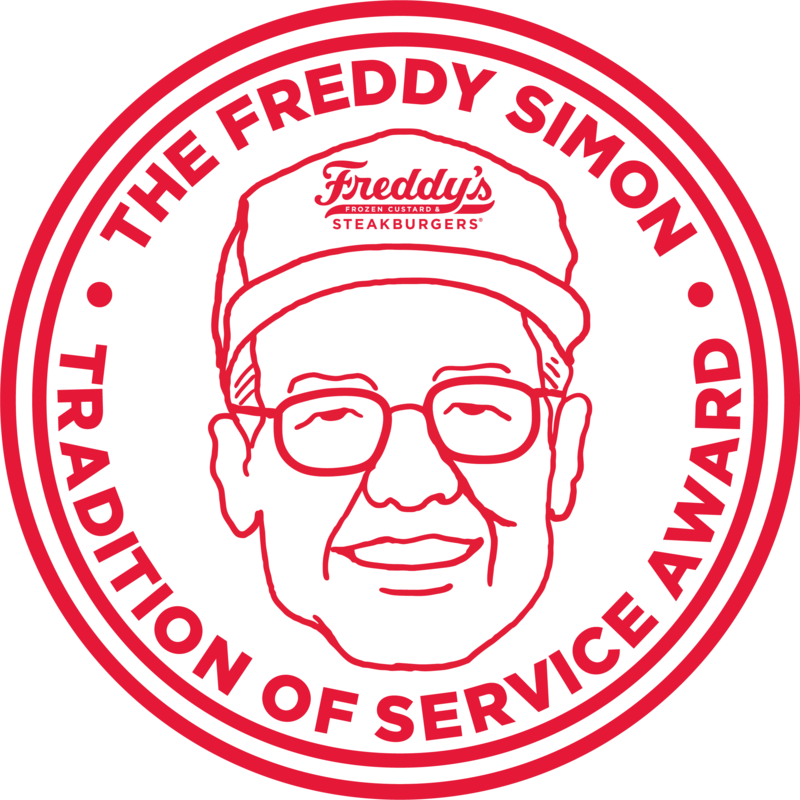 The Freddy Simon Tradition of Service Award is an honor presented to a current Team Member or Manager of Freddy’s Frozen Custard & Steakburgers who has displayed outstanding service and leadership in the restaurant. Do you know of any current FredHeads who’ve gone above and beyond in representing Freddy’s with an extraordinary act of kindness? Nominate them! Be sure to tell us about the act of kindness and why you believe your nominee should receive the Freddy Simon Tradition of Service Award. Submission deadline for the 2019 award year is February 28th, 2019.